To more than a generation of Fiskites, she was the keeper of the Fisk flame. To me, she was an inspiration, a cheerleader, a believer, a sometimes-taskmaster and always, always, always, a friend. And when Beth Madison Howse ’65 died in September 2012, after a four decade-long career in the John Hope and Aurelia Franklin Library at Fisk University that helped countless researchers chronicle the black past, it seemed to me, like the end of the Fisk Camelot. In the spirit of our mantra, “Stories live forever, storytellers don’t,” we honor Beth M. Howse as the Storyteller of the Year Legacy Award. Having grown up in the home of her maternal grandmother in shadow of the historic Fisk Jubilee Hall, she enjoyed a wonderful childhood in the environs of the Fisk campus at the height of its golden years surrounded by now-famous luminaries of the Harlem Renaissance period. Their children were her childhood friends. Poet and librarian Arna Bontemps lived a few streets over while artist Aaron Douglas lived just two doors down, and the famous musicologist John W. Work III was her family’s next door neighbor. Beth graduated from Nashville’s renown Pearl High School in 1961 and she entered Fisk University that fall amid the burgeoning modern Civil Rights Movement. Her choice to attend Fisk was unsurprising. Beth’s familial relationship to Fisk, had, even by that time, stretched almost a century. Her maternal great-grandmother Ella Sheppard Moore entered Fisk as a student in 1868, and was one of nine singers that formed the Original Fisk Jubilee Singers troupe that departed on October 6, 1871 to raise money to save the school. As pianist and assistant director for the singers, Sheppard Moore was the most-recognizable and longest-serving member of the group which introduced spirituals to the world, and erected Jubilee Hall as the first permanent structure for the education of blacks in the South. Even as a teenager, Beth had dutifully represented her family every year at Jubilee Day, a tradition that she continued throughout her life. A fourth generation Fiskite, she excelled at Fisk, graduating with her bachelor’s degree in 1965 before later attending Peabody College, from which she was awarded a master’s degree. In 1970, Beth returned to work at her alma mater Fisk University; and five years later, began her career as a Special Collections Librarian in the John and Aurelia Hope Franklin Library under the tutelage of Ann Allen Shockley ’48, whom she succeeded. Beth thrived in her role as the caretaker of priceless Fiskiana and African-American archival materials. She took special pride in painstakingly processing a number of Fisk’s more than one hundred processed collections including the Fisk Jubilee Singers Collection. She was never too busy to help researchers whether student, novice or expert, reach their highest heights, undergirding them with her mastery of more than four decades of archival knowledge, and encouraging them with the sweetness of her spirit and smile. In recognition of her tireless work, countless local, national and international authors have recognized the debt they owe to her as both a professional and as an enthusiast in their book’s acknowledgements. During her summers, Beth nurtured scores of children over her more than three decade-long tenure as director of Fisk Mini-College. Just this summer, more than fifty children were the beneficiaries of her unfailing commitment to the program. Their young voices could be heard gleefully squealing her name as they competed to be the center of her attention. 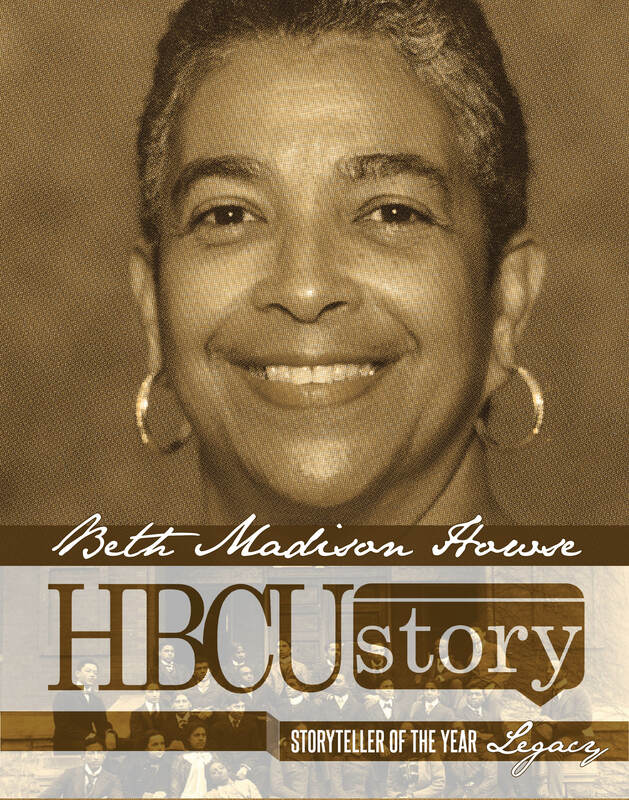 For more than thirty years, Beth also served as archivist for Sigma Pi Phi Fraternity, Incorporated (Boulé). She also enjoyed helping members of the wider community including the Girl Scouts, with whom she helped to create the curricula for a Jubilee Singers patch. For several decades, she was also a faithful member of the Howard Congregational Church where her great-grandfather the Reverend George W. Moore (Class of 1881) had once been a minister. Above all, Beth was a loving family person and a faithful friend. She was my friend and HBCUSTORY will always be my gift to her life and love. In 2007, Michael J. Sorrell fought his way into the presidency of Dallas, Texas’ now 140-year old historically black Paul Quinn College. Since that time Sorrell has transformed PQC, which sits on 146-acres in the low-income Highland Hills community, raising the college’s profile and building the Quinnite Nation. For his commitment to the WE over ME mantra, we salute him as a legendary storyteller of the HBCU experience and honor him as the 2013 STORYTELLER OF THE YEAR LEGEND AWARDEE. 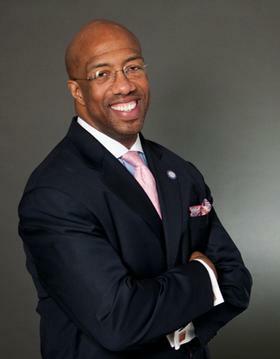 Michael J. Sorrell is the 34th President of Paul Quinn College and the reigning “HBCU Male President of the Year”. Under his leadership, PQC is experiencing one of the greatest turnarounds in the history of higher education. His vision is to transform Paul Quinn College into one of America’s great small colleges by focusing on servant leadership, entrepreneurship, and academic rigor. Among the school’s numerous accomplishments during President Sorrell’s tenure have been: winning the “2011 HBCU of the Year” and the “2012 HBCU Student Government Association of the Year”; demolishing 15 abandoned campus buildings; partnering with PepsiCo to transform the unused football field into the two acre “WE over Me Farm”; achieving full-accreditation from the Transnational Association of Christian Colleges and Schools (TRACS); attaining four consecutive unqualified audits for the first time in school history; creating a new admissions policy (and enrolling the top academic class in school history); establishing the Presidential Scholars Program; adopting a school-wide business casual dress code; securing the two largest single donor gifts in the history of the institution; earning six and seven-figure year-end budget surpluses in three of the last four years; and modernizing all institutional operations. Michael received his J.D. and M.A. in Public Policy from Duke University. While in law school, he was one of the founding members of the Journal of Gender Law & Policy and served as the Vice President of the Duke Bar Association. Michael was a recipient of the Sloan Foundation Graduate Fellowship, which funded his studies at both Harvard University’s Kennedy School of Government (as a graduate fellow) and Duke University. He graduated from Oberlin College with a B.A. in Government, served as Secretary-Treasurer of his senior class, was a two-time captain of the men’s varsity basketball team, and graduated as the school’s fifth all-time leading scorer. The President is a member of the Alpha Epsilon Boule of Sigma Pi Phi Fraternity and a life member of Kappa Alpha Psi Fraternity, Inc. Among the boards he serves on are Duke University’s Sanford School of Public Policy, Amegy Bank, Teach for America, the North Texas Public Broadcasting Company, Inc., bcWorkshop, and the Department of Education Policy and Leadership for the Simmons School of Education at SMU. He also has been recognized by the Root On-line Magazine as a member of the “Root 100” (a list of the top 100 emerging leaders in America) and by HBCU Digest as one of the five best HBCU Presidents from 2010 through 2012. He has received the Excellence in Education Distinguished Alumni Award from his high school, St. Ignatius College Prep in Chicago, Illinois; the A. Kenneth Pye Award for Excellence in Education from the Alumni Association of Duke University’s School of Law; and the TRACS Leadership Award. He has also been named the Educator of the Year by several different organizations and honored by the NAACP, Heart House, the State Fair Classic, the Dallas Furniture Bank, and the Boys & Girls Clubs of Dallas for his civic leadership. He is a past recipient of the Dallas Urban League’s Torch for Community Leadership and both the President’s and C.B. Bunkley Awards from J.L. Turner for his outstanding contributions to the Dallas legal community. Additionally, in 2002 the Dallas Business Journal named him one of Dallas’ Forty Under 40 and in 2011, the same periodical awarded him a Minority Business Leaders Award.